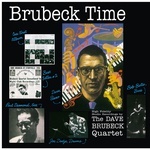 Wax Love presents a reissue of Brubeck Time by Dave Brubeck. Originally released in 1955, Brubeck Time is a rare studio recording from that period of the band, when it was recording mostly live albums. 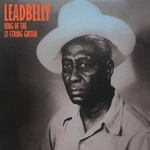 It was recorded in the fall of 1954, features one of the earlier Quartet lineups, with Bob Bates on bass and Joe Dodge on drums. Although now not as famous as some of the band's other albums, in retrospect it has a lot of depth, and those interested in jazz will find it certainly worth acquiring. 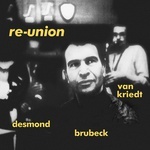 Reunion is an interesting and obscure 1957 album from the Dave Brubeck quartet featuring alto sax giant Paul Desmond, bassist Bob Dates and the great Joe Morello on drums. Here, one of the most famous groups in the history of jazz is augmented by tenor saxophonist Dave Van Kreidt. All the music is composed by Van Kreidt and the overall sound is very different from the classic Brubeck set-up. This is classical-influenced West Coast jazz and unlike anything else in the Brubeck discography. Takin' Off, Herbie Hancock's stunning debut album was released by Blue Note in 1962. 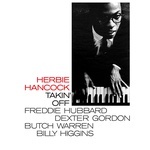 Hancock's modern and dynamic form of jazz takes off from here, with the young pianist leading a marvelous quintet including Freddie Hubbard on trumpet, Dexter Gordon on tenor sax, Butch Warren on double bass, and Billy Higgins on drums. 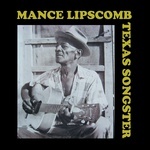 The album contains "Watermelon Man," Hancock's first big hit, well-known as a classic standard in the history of jazz and popular music. In one word: essential! 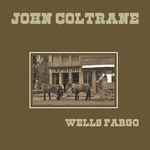 Wax Love presents a reissue of John Coltrane's Wells Fargo, originally released in 1958. Here is a 32-year-old Coltrane sharing a studio recording session with trumpeter Wilbur Harden and a bunch of young lions such as Tommy Flanagan (piano) Doug Watkins (bass), and Louis Hayes (drums), plus Curtis Fuller (trombone), Ali Jackson (bass) Howard Williams (piano), and Art Taylor (drums) on couple of tracks. In 1958 Coltrane was deeply exploring the hard bop idiom; the saxophonist was still playing with Thelonious Monk and Miles Davis and was about to begin leading his own groups. 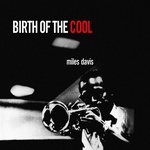 Wax Love presents a reissue of Miles Davis' Birth Of The Cool, originally released in 1957. The music conceived by Davis and Gil Evans between 1949 and 1950, and released on Capitol Records marked an important new step in jazz. Featuring an unusual line-up and innovative classically oriented arrangements, this historical album represents the birth of a new form of jazz. For the occasion Davis and Evans gathered a stellar nonet including, among others, Lee Konitz (alto sax), Gerry Mulligan (baritone sax), John Lewis (piano), and Max Roach (drums). The result was an unprecedented and highly sophisticated form of music which would be subsequently called "cool jazz." First released in 1958, Yes Indeed! 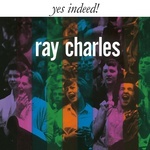 is the third album by genius Ray Charles and it contains some of the best music he's made for Atlantic Records. This is yet another gem from Ahmet Ertegun's production team with Ray Charles masterfully backed by a full jazz big band and, of course, the highly energetic Raelettes. 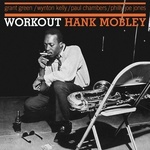 Wax Love present a reissue of Hank Mobley's Workout, originally released in 1961. One of the great tenor sax player Hank Mobley's most well-known releases, Workout is a beautiful piece of hard bop American jazz music originally released in 1961. Featuring the brilliant work of a handful of young guns as his backing band -- guitarist Grant Green, pianist Wynton Kelly, bassist Paul Chambers, and drummer Philly Joe Jones -- this set includes four Mobley originals and a smoky version of "The Best Things In Life Are Free". Essential. 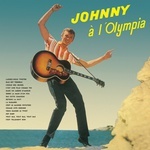 Wax Love present Johnny Hallyday's first live album, Johnny à l'Olympia, originally released in 1962. The album features "The French Elvis" near the peak of his early popularity. Though he's still largely unknown outside of the Francophone world, his pure rock and roll voice and charismatic personality win over new fans worldwide every day. The Jimi Hendrix Experience opened for him, he's hung with Dylan and played with Page and Frampton, and he was married for years to famous chanteuse Sylvie Vartan. This live album is the perfect introduction to Hallyday or an essential piece if you're already a fan. Killer post-Elvis rock and roll from a true legend. 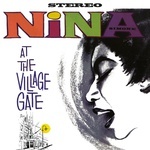 Wax Love presents a reissue of Nina Simone's At The Village Gate, originally issued in 1962. Nina Simone is one of those rare artists whose greatest work might have been her live recordings; a consummate interpreter of others' songs, it was on live recordings that she really stretched out her sound and truly found her most powerful voice. 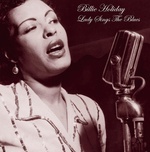 This 1962 live recording was her third live album for Colpix and the loose, swinging trio that backs her perfectly complements her versions of classics like "House of the Rising Sun", "Bye Bye Blackbird", and Olatunji's "Zungo". A perfect live recording from one of the masters. 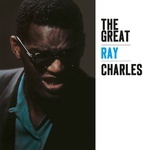 Wax Love present a reissue of The Great Ray Charles, originally released in 1957. 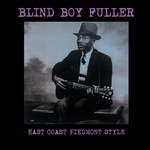 Ray Charles's second long-player was released on the legendary Atlantic Records. An instrumental jazz album, it was released two years before Charles became an international superstar with the hit recording "What'd I Say". Though Charles was already nearly a decade deep into his recording career he'd yet to have a massive hit and was a difficult artist to pin down as his tastes ranged from jazz to pop to R&B. Featuring longtime band member David "Fathead" Newman and with help from the arranging and songwriting genius Quincy Jones, this is a beautiful, swinging, and laid-back jazz album necessary for any fans of Ray. 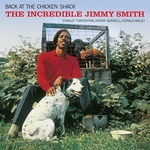 Wax Love present a reissue of The Incredible Jimmy Smith's Back At The Chicken Shack, originally released in 1963. The Incredible Jimmy Smith, one of jazz music's most popular artists of all-time, recorded this classic piece of swinging and soulful organ grooves in 1960 with the help of longtime bandmates Stanley Turrentine on sax, Kenny Burrell on guitar, and Donald Bailey on drums. One of his catchiest early titles, this is pure party music, the perfect complement to a summer BBQ with a cold beer. Classic. The great bassist and band leader Charles Mingus cut some of his most exciting and rewarding recordings in 1960. Taped during the apex of Mingus's creativity, shortly after masterstroke Mingus Ah Um (1959), just before his brilliant Oh Yeah (1962), and in the same year as the classic Blues & Roots, this incredible session showcases such stars as Eric Dolphy, Roy Eldridge, and Tommy Flanagan. Mingus's arrangements are, as always, top notch with an unparalleled understanding of space and melody, and the playing is without doubt up to his standards. Mingus is one of the greatest jazz minds of the 20th century and these sessions are another fine example of his genius. 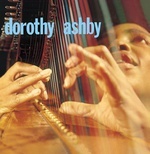 Wax Love present a reissue of Dorothy Ashby's self-titled album, originally released in 1962. Dorothy Ashby was perhaps not Detroit's most famous female jazz harpist as that distinction belongs to Alice Coltrane but she was notably the first and a trailblazer who overcame massive setbacks throughout her nearly 30-year recording career. Playing on an instrument not usually associated with jazz, in a male dominated field, Ashby is a true and amazing original. Originally released in 1962, and with the help of a rhythm section of Herman Wright on bass and John Tooley on drums, Dorothy Ashby is one of her earliest titles as a leader and a beautiful piece of innovative mid-century jazz. A mix of originals and tastefully selected covers like Ellington's "Satin Doll" and Neal Hefti's "Li'l Darlin'" this is another lost jazz classic resuscitated by Wax Love. 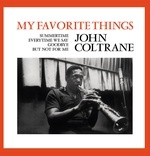 Wax Love present a reissue of John Coltrane's My Favorite Things, originally released in 1961. Credit for this album is partially due to Miles Davis, who had somewhat recently purchased Coltrane his first soprano saxophone, previously it had been little used in jazz. This 1961 album also seems to fully mark Coltrane's transformation into modal jazz, another Davis influence, and his modal take on the classic standard, "My Favorite Things", from The Sound Of Music soundtrack, remains one of the more iconic jazz songs in history. Rounded out by three more standards, performed in modal interpretations that completely redefined the meaning of a "standards" album, My Favorite Things, is one of the many transcendent jazz albums the legendary John Coltrane is responsible for. 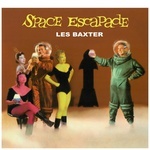 Wax Love present a reissue of Les Baxter's Space Escapade, originally released in 1958. Les Baxter's Space Escapade can be considered as one of the true manifestos of lounge/bachelor pad music. 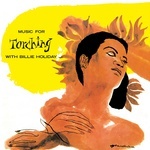 First released in 1958 with Mr. Baxter at the head of a jazz big band in full exploratory mood, Space Escapade consists of a colorful mixture of space age jazz and eclectic cocktail music, adequately spiced with exotic orchestral arrangements. All this packaged in one of the most iconic album covers of the genre. 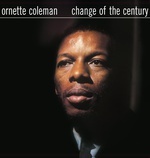 Wax Love present a reissue of Ornette Coleman's Change Of The Century, originally released in in 1960. The second album by Ornette Coleman's legendary quartet featuring Don Cherry, Charlie Haden, and Billy Higgins, Change Of The Century is every bit the equal of the monumental The Shape Of Jazz To Come (1959), showcasing a group that was growing ever more confident in its revolutionary approach and the chemistry in the bandmembers' interplay. When Coleman concentrates on melody, his main themes are catchier, and when the pieces emphasize group interaction, the improvisation is freer. Two of Coleman's most memorable classic compositions are here in their original forms -- "Ramblin'" has all the swing and swagger of the blues, and "Una Muy Bonita" is oddly disjointed, its theme stopping and starting in totally unexpected places. An American free-jazz classic from one of the biggest names in the genre. 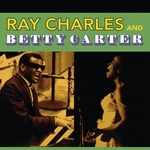 Wax Love present a reissue of Ray Charles And Betty Carter, originally released in 1961. Recorded in a couple of days in June 1961 in Hollywood, this fine album documents the historical meeting between genius Ray Charles and the wonderful Betty Carter, one of the greatest female jazz singers of all times. A powerful duet combination with Ray's deep-sweet tone in almost sensual relation with Carter's highly pitched and energetic vocals. The two literally fly on top of a series of sophisticated string arrangements and some highly swinging big band charts. Among the players are some of Ray's close collaborators such as reed men Hank Crawford and David "Fathead" Newman. Wax Love present a reissue of Sonny Rollins's What's New?, originally released in 1962. While so much attention is paid to his titles on Blue Note, Contemporary, and Prestige, Sonny Rollins's RCA sessions from the early '60s are some of his finest sessions and they don't get nearly the attention they deserve. 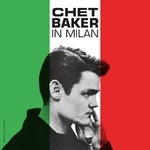 In 1962 alone he released two classic titles, The Bridge and this album, What's New? Featuring Jim Hall on guitar and Candido on percussion, among other heavy hitting session musicians, What's New? is particularly remarkable for the Rollins' originals including the blazing, Latin influenced "Jungoso" which features one of the most forceful solos of his career. A beautiful bossa-inspired bit of early '60s jazz that stands tall among the catalog of one of the true pillars of the tenor saxophone.